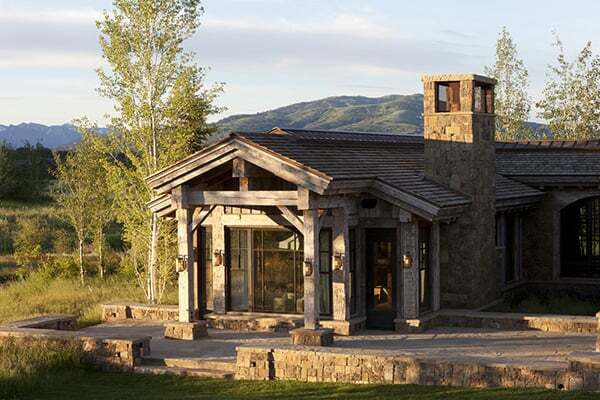 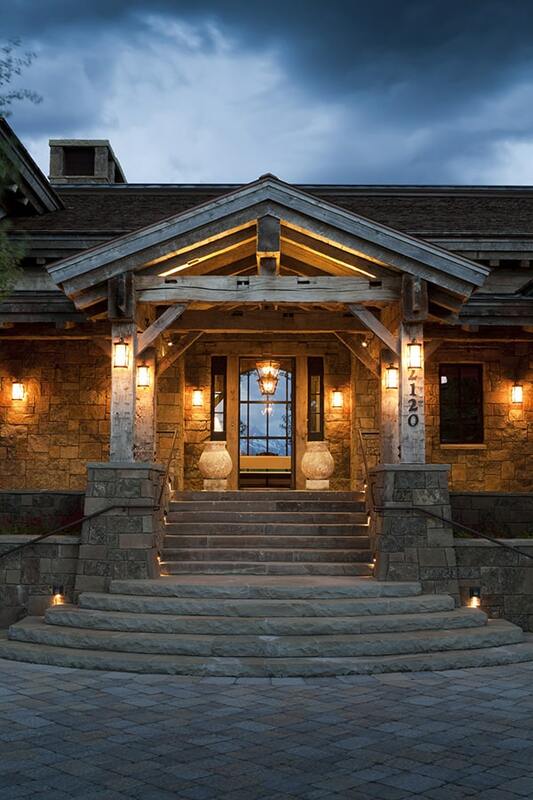 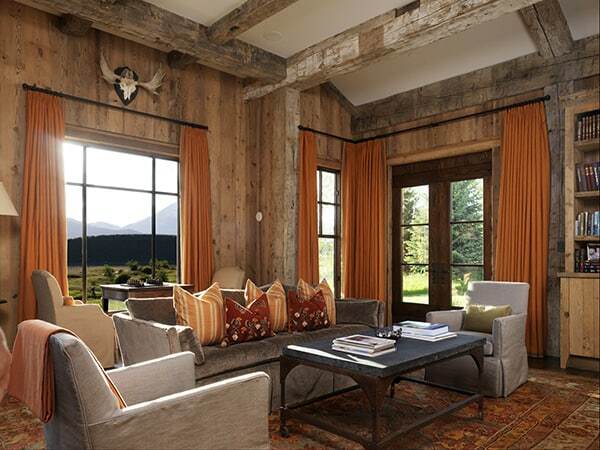 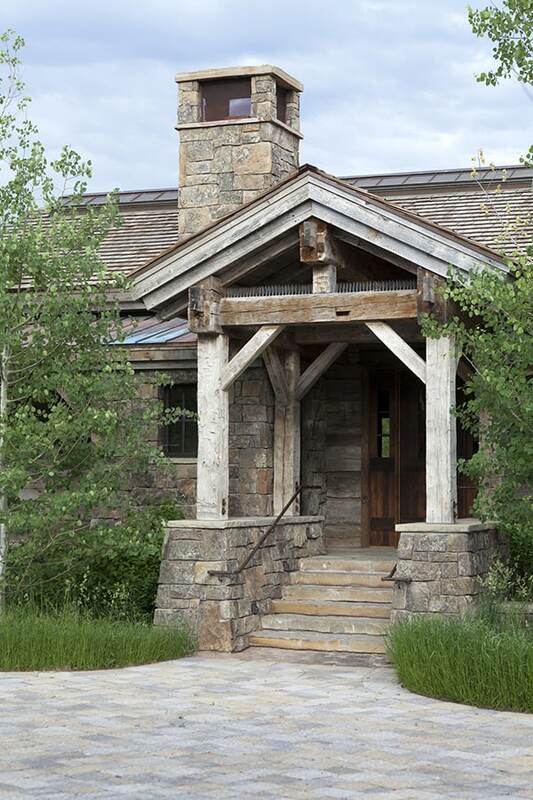 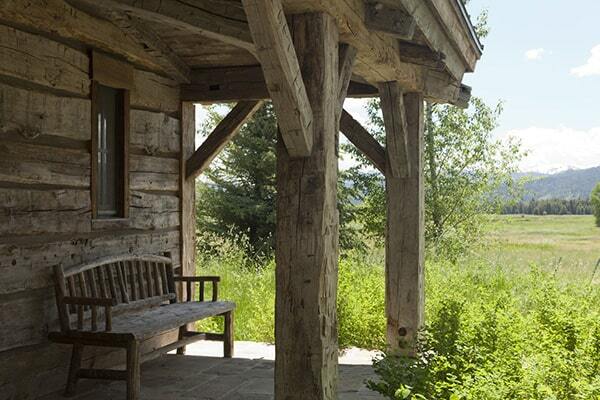 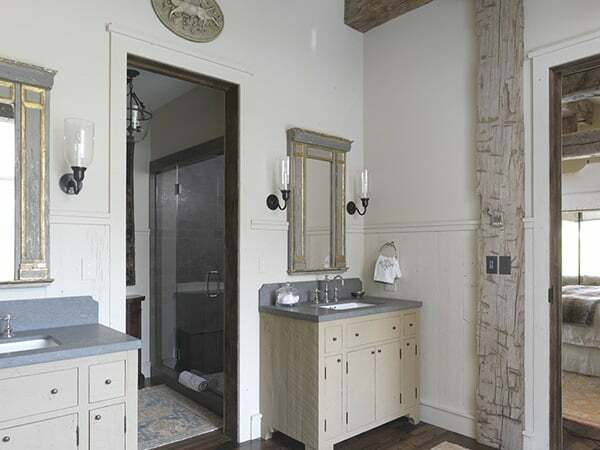 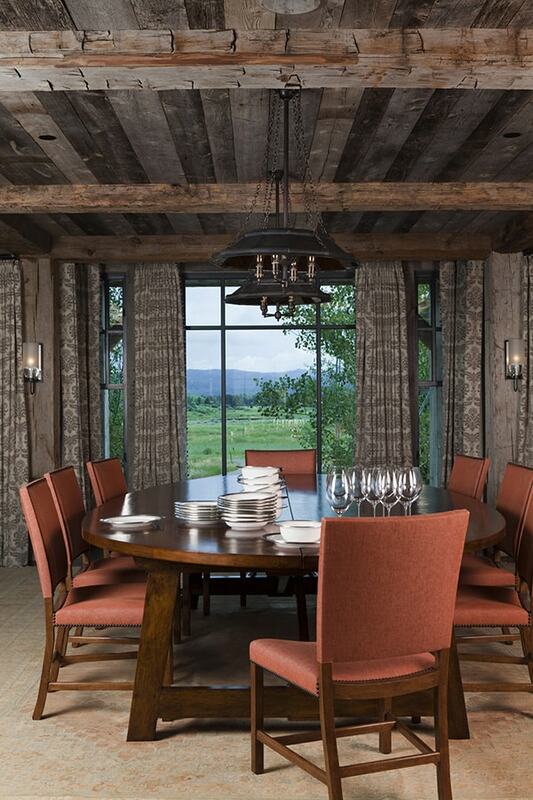 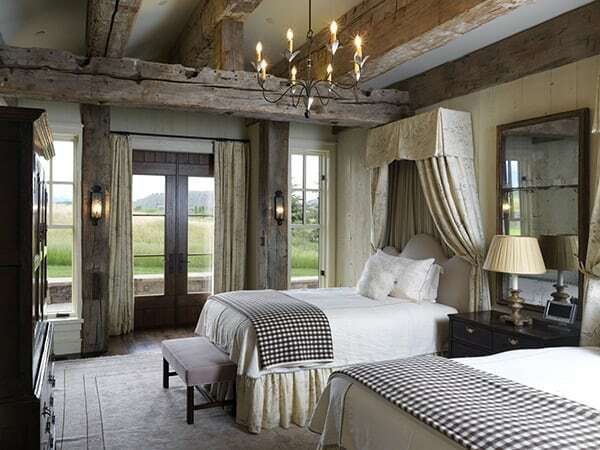 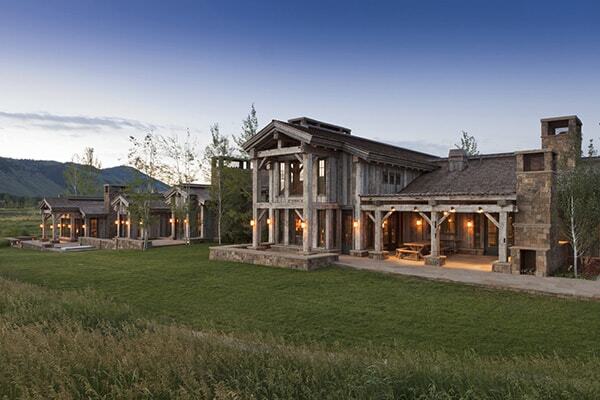 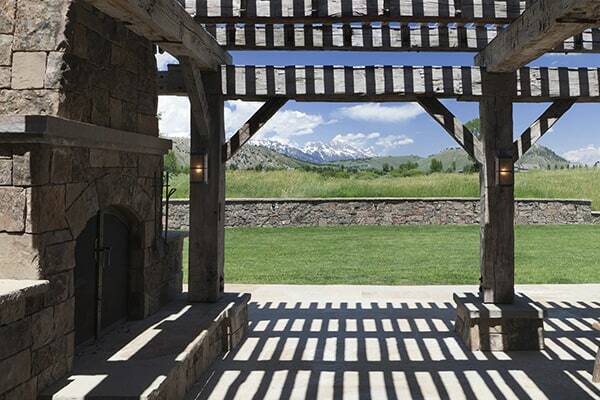 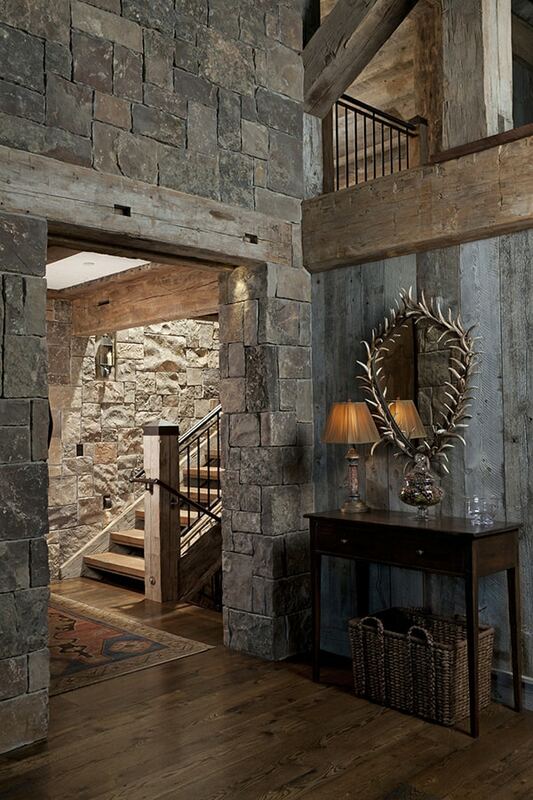 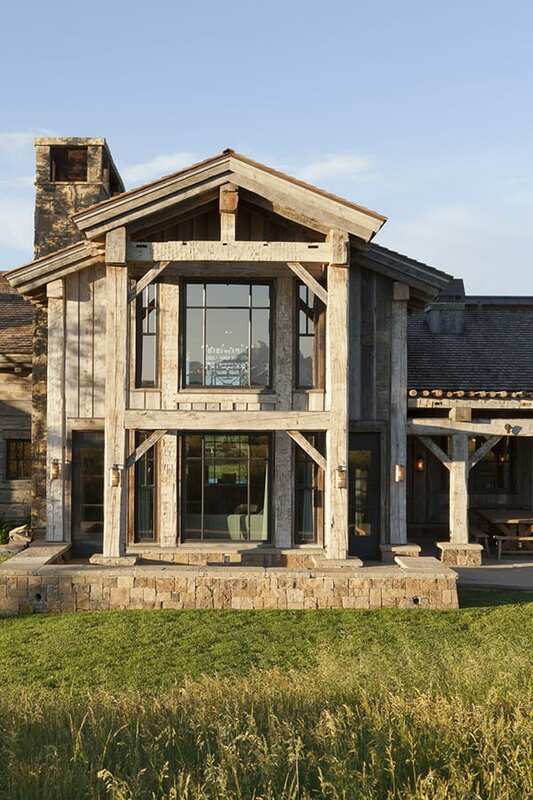 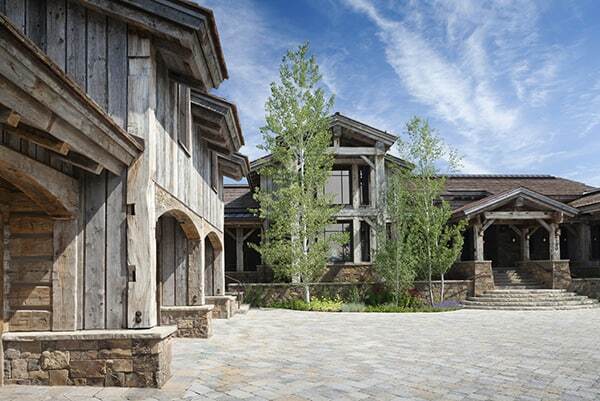 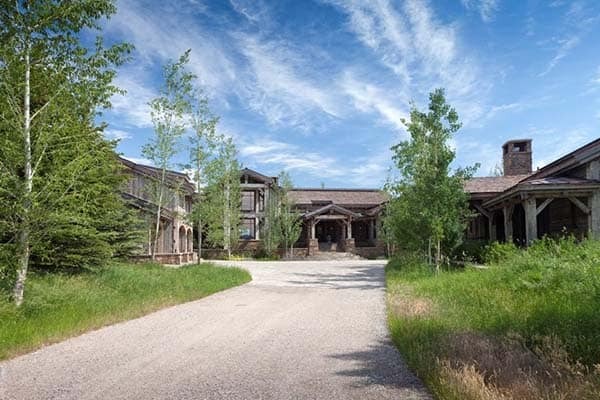 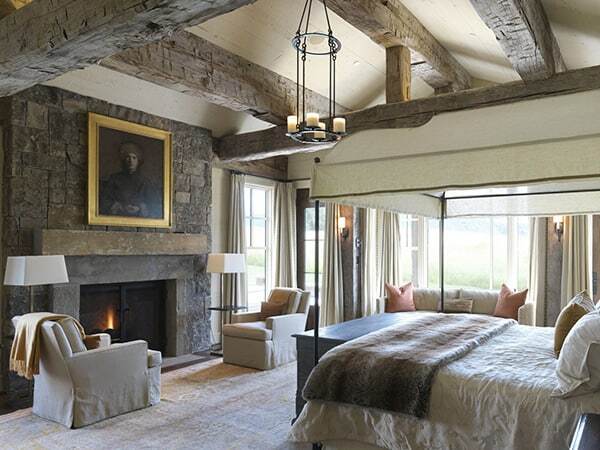 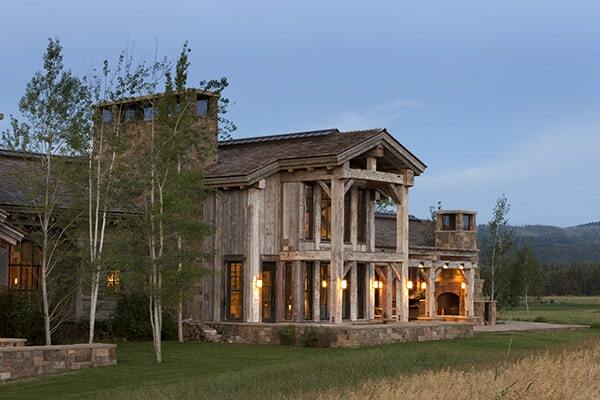 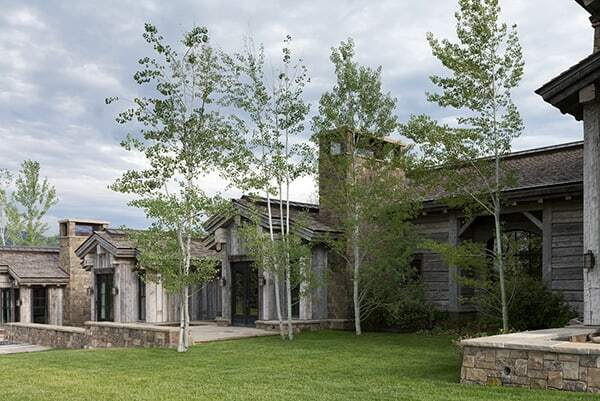 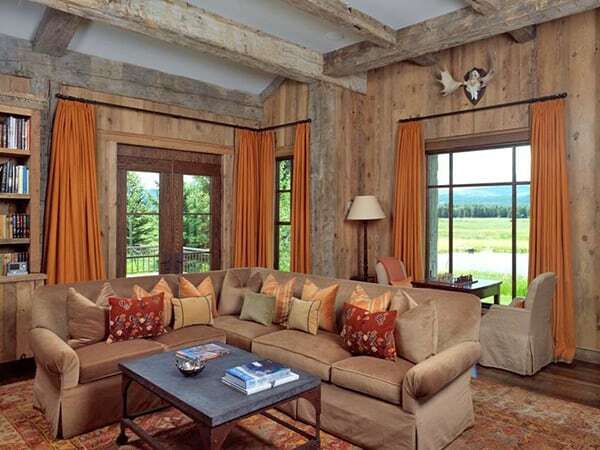 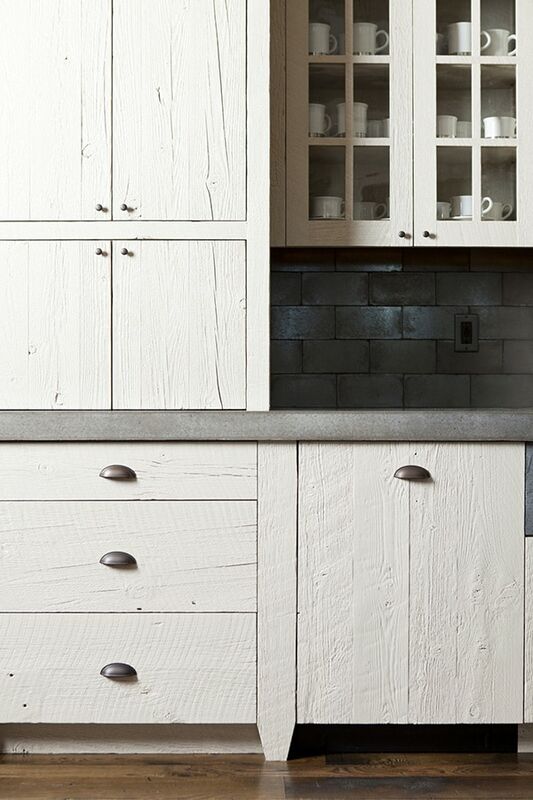 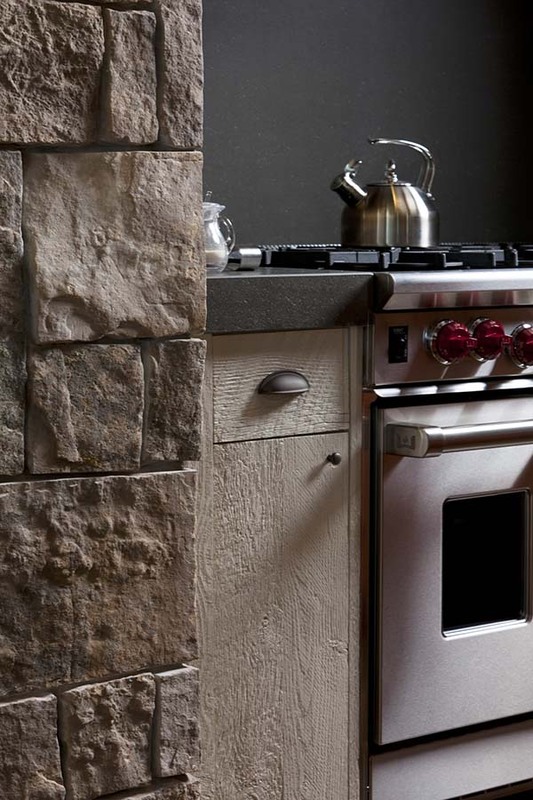 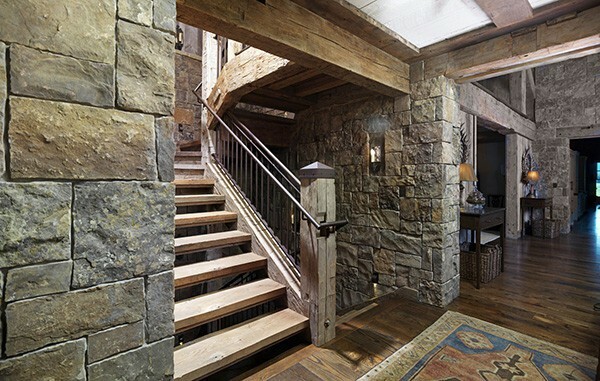 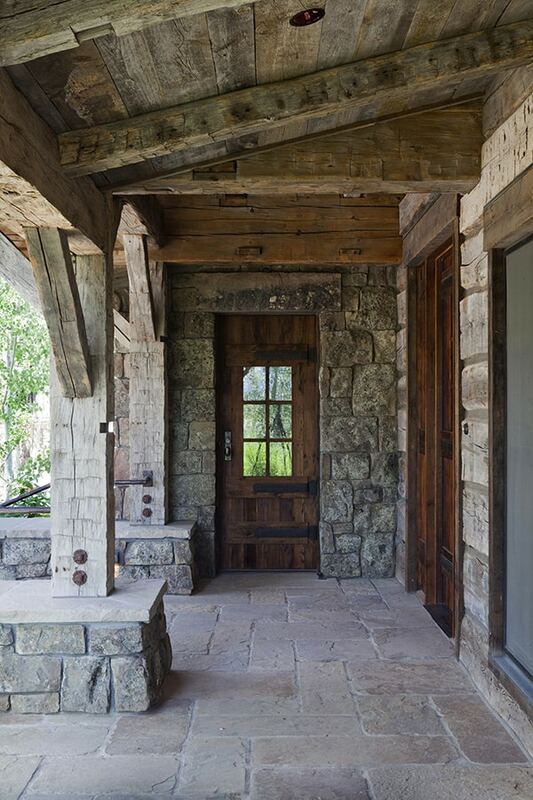 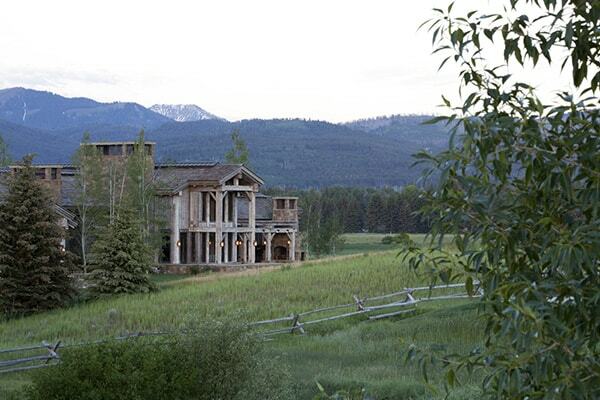 Nestled in the foothills of the Teton Mountain range, this stunning mountain home with traditional styled interiors was designed by architecture studio Atelier One, located in Jackson Hole, Wyoming. 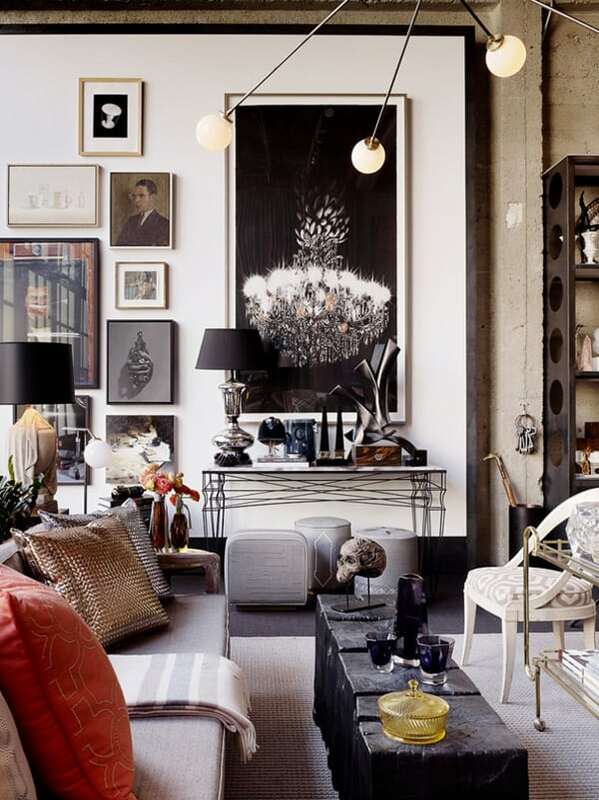 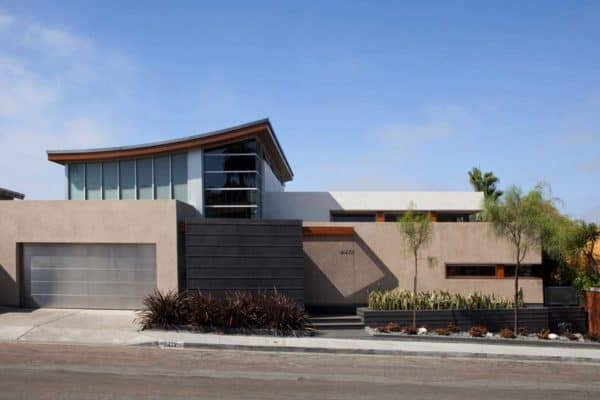 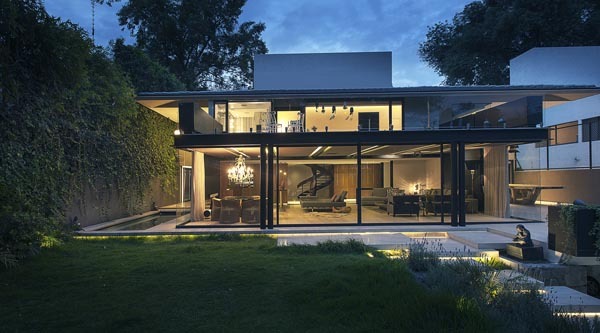 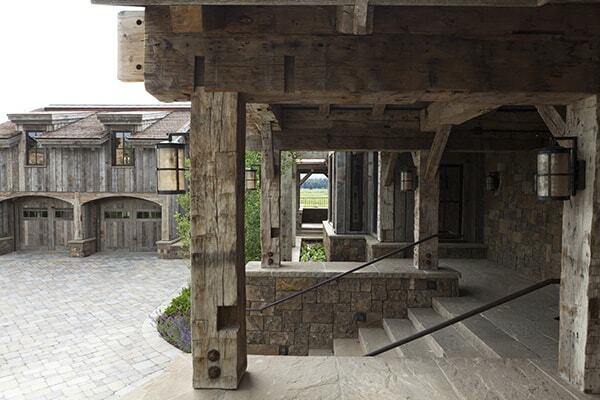 This sprawling 10,000 square foot residence was constructed during 2008-2018. 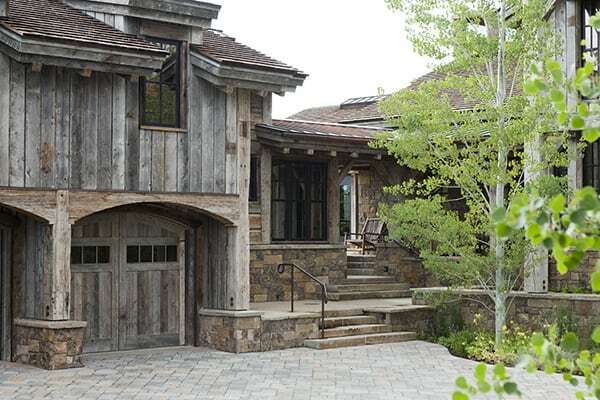 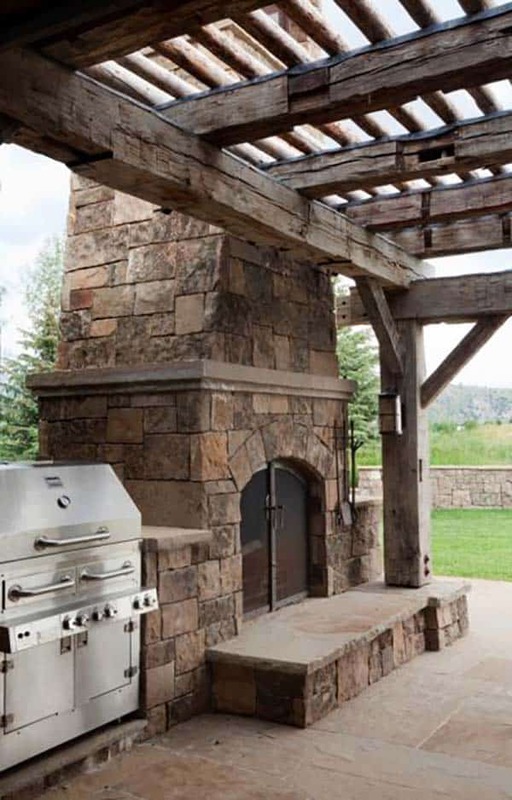 According to the home builders on this project, On Site Management, the exterior facade is comprised of “reclaimed timber accents, hand hewn siding, Montana Moss stone veneer and cedar shake roofing combined with copper ridges and shed roofs.” The home is characterized by wonderful outdoor spaces for entertaining and relaxing, fabulous views of the surrounding mountainous landscape and cozy and inviting interiors with soaring ceilings. 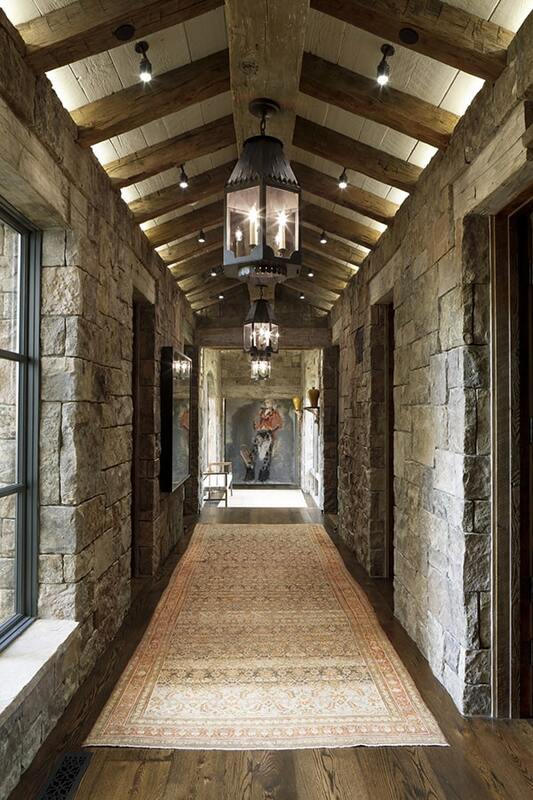 Upon entrance into this magnificent home, you will notice a neutral color palette with pops of color adding warmth to the spaces. 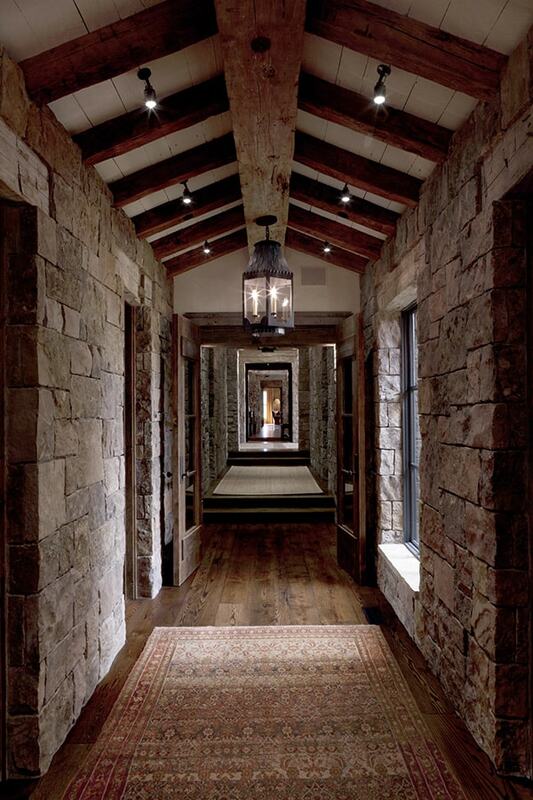 Richly hued wide plank wood flooring can be seen throughout, with area rugs delineating spaces to add texture and warmth. 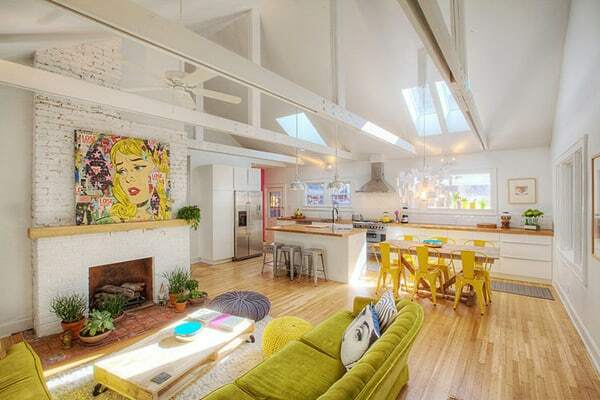 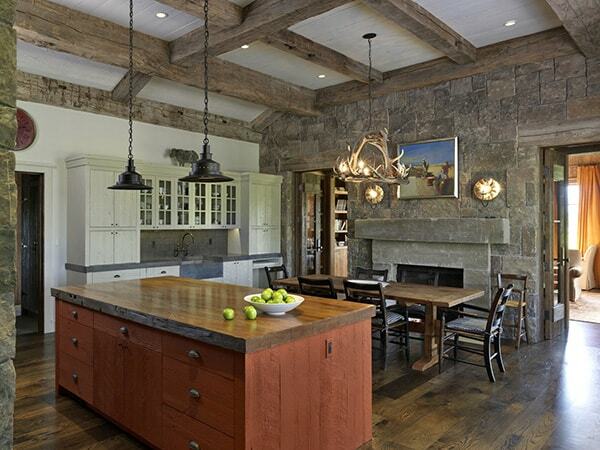 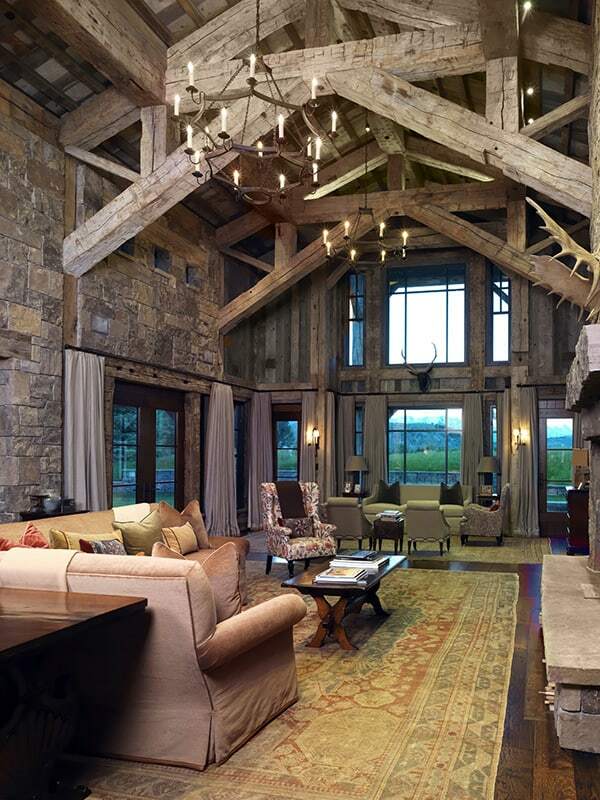 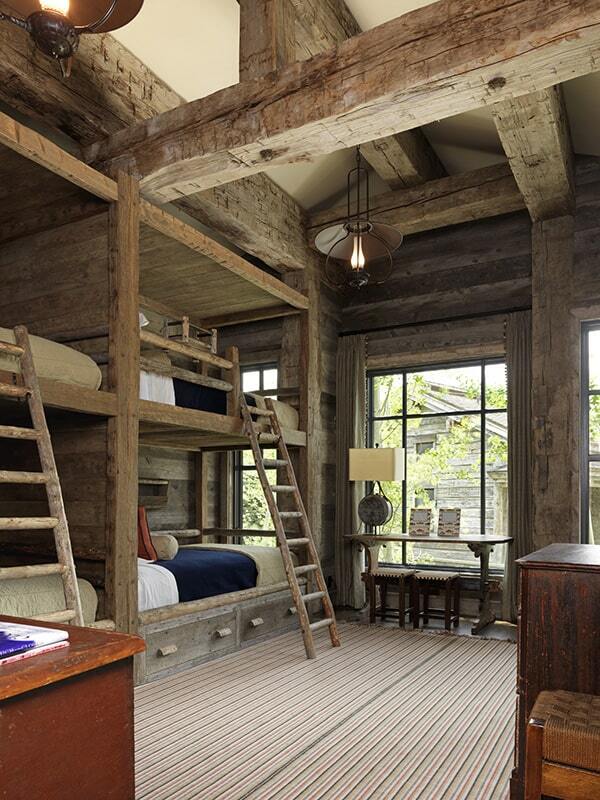 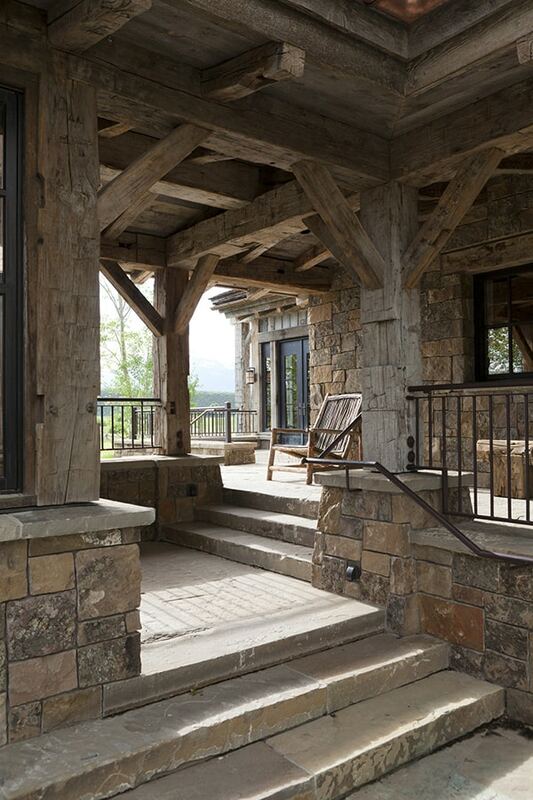 Wood ceiling trusses, characteristic of mountain homes, are showcased in the great room. 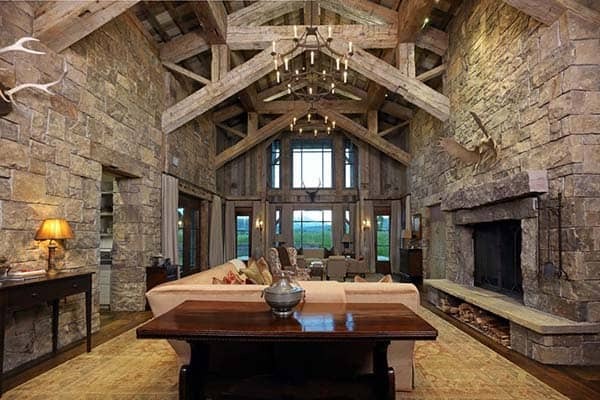 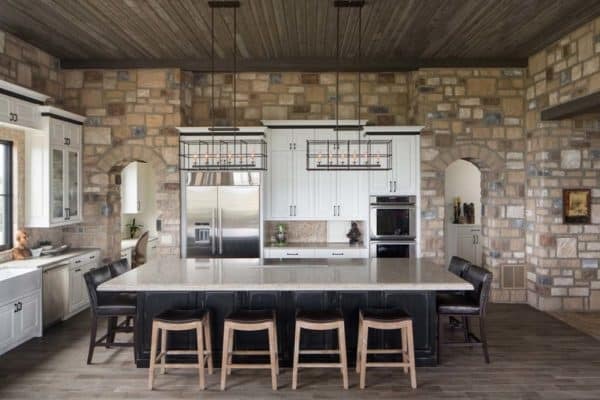 All the other spaces in the home, both public and private, feature rustic wood ceiling beams, creating welcoming environments. 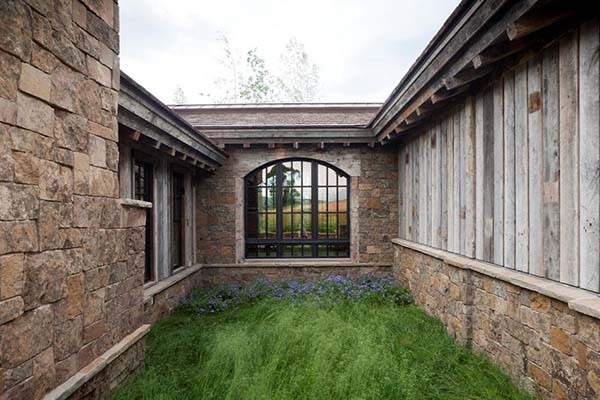 Photos: Courtesy of Atelier One Ltd.